Do you play soccer? And does your team get a new shirt each season that you might never wear again? Did you know that schools in Africa love soccer, too? And they would really like soccer shirts you're not using any more! 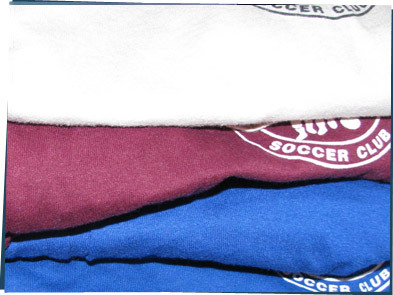 Our local elementary schools have been collecting soccer shirts to send to a school in Brakwa, Ghana. Kids there love our shirts. There are a lot of sports charities around the world that need help from rich countries like ours. The Global Giving web site helps you connect with projects all over the world. Luckily, they don't want skull t-shirts.